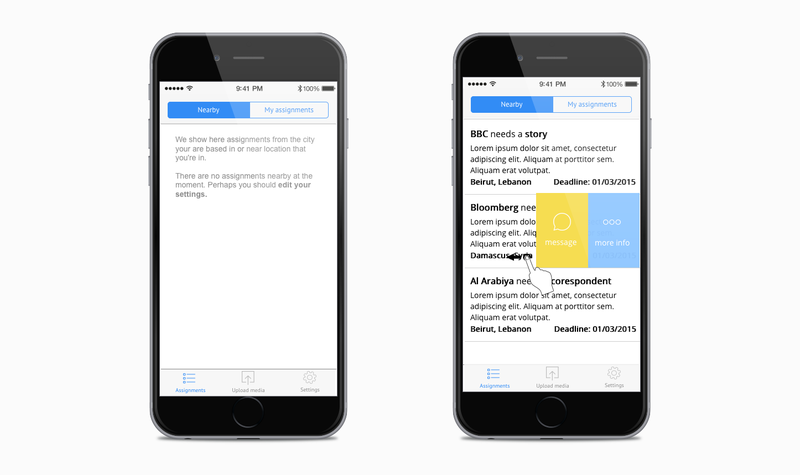 Download the app for your smartphone (iOS or Android) and experience the new, refreshed workflow yourself. Netguru has become the Transterra Media’s go-to for technical expertise. This time, our task was to create the UX design for two new products. Create a sleek web-app-based buying experience. The goal was to shift the client outreach process from the sales team’s efforts to a web interface. Now every client will get access to an easy-to-use platform where they can browse through curated lists of media and easily purchase the content for which they are looking. Develop a brand new, enhanced iOS mobile app. We’ve simplified communication between media producers and people working in the field as well as making it easier for producers to find the perfect contributor for the story they want. We started the process with stakeholder interviews - a crucial part of the research phase that lets us get to know the product better and clarifies the client’s needs. Talking to the CEO, the producers, the sales and product teams as well as the contributors (journalists publishing media on the platform) gave us a clear picture of everyone’s expectations. A clear goal was set: delivering the right content to the right people at the right time - as simple and quick as possible. We also had a chance to talk to one of the media buyers working with TTM. The perspective of a purchasing party, e.g. a media house or news agency, made our research complete and comprehensive. the procedures that must be completed before a piece of media is ready for sale. After realizing all communication difficulties the TTM teams were facing, it was clear that we would be able to make huge and important changes. While working on this project, we needed to be in constant contact with the Salesforce development team, as their platform and its architecture are at the core of our business processes. and Poznań (netguru: web development team). This task required finding proper tools and efficient routines. The whole communication between teams was held on Slack. To monitor progress and notify teams as needed, we implemented various integrations (e.g. Pivotal Tracker, CircleCI, Rollbar, HockeyApp) for both mobile and web development environments. Reviews in the evening to talk to the product team about solutions prepared that day and make requests for copy or feedback from other departments. There was always someone from the product and sales team present at these meetings to provide instant feedback about our solutions. Our wireframe tool of choice was UXpin. Fast and easy to use, it allowed us to live-share designs and helped keep the discussion about functionalities in one place. automate the matching of buyers with content. As a contributor near to a region with ongoing riots, I want to be notified about possible assignments from media buyers. As a media buyer I want to be notified about new media related to the Middle East as soon as it becomes available. From such user scenarios, we built 39 important use cases for both web and mobile apps and identified those crucial for our MVP solution. Next step was sketching flows and first screens. 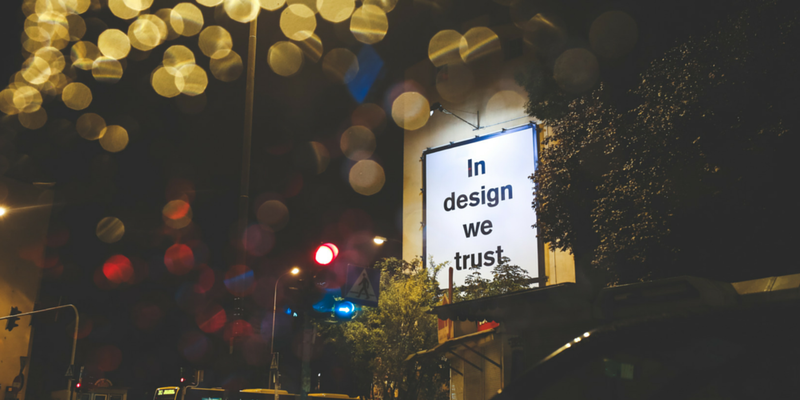 The initial ideas and designs were transformed into mockups via UXPin. We went far beyond designing screen views, and also focused on behind-the-scenes processes used by the sales and production teams. We were constantly in contact with TTM, making sure they were satisfied with the proposed solutions. 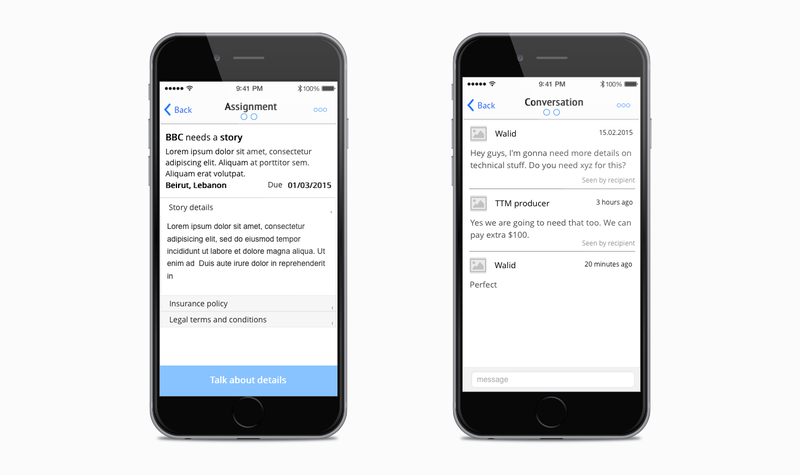 Example screen – broadcasting and discussing mobile assignments. Contributors can specify what kind of assignments they are interested in, and how far they are willing to travel. Once stated, they will receive notifications about assignments they might wish to apply for. They can see details of the assignments, the technical requirements, the insurance policy and the legal terms. They can also communicate with the producer responsible for the assignment and obtain information right away. Example screen – buying a medium. It shows the list of media items in the basket and information about their license type and restrictions. Information about paying via invoice is clearly visible. 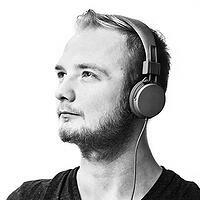 Interviews with the sales team made it clear that customers will find this very useful. Example screen – payment methods. The client can choose how they want to be billed. Clients already have a dedicated salesperson in TTM, so we wanted it to stay that way. On the right of the screen, the client sees that they can contact Stacy – their support person – at any time, should they have problems with the system or simply want some old-fashioned human-to-human interaction. Example screen – publishing details and interests. Here publishers specify what kind of media they’re interested in buying. They can also say how frequently they wish to publish, so we know how often we should prepare curated media for them. Final result - check it out yourself! 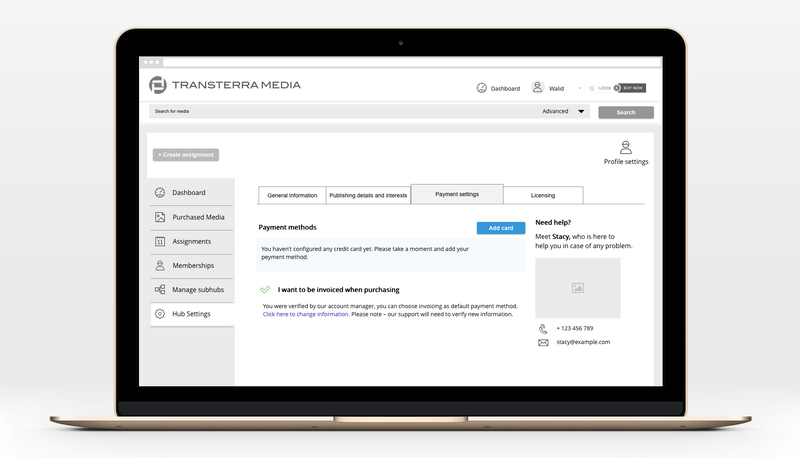 The Transterra Media Beta marketplace is open to selected clients and we’re already getting feedback. The new mobile app is now available in the App Store, so go download it and experience the brand new Transterra Media platform. If you have any questions about the process or would like to give us a few words of feedback - feel free to leave a comment!